This is a new event! 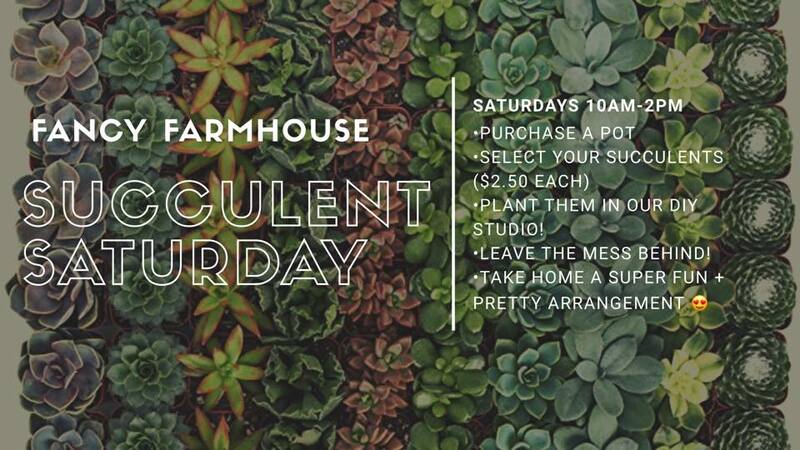 Purchase a pot, select your succulents ($2.50 each), plant your new succulents in your pot and take home something beautiful! Leave the mess in our DIY Studio! No reservations needed! If your pot is $30 before taxes, you’ll receive a 25% off coupon to use that day in the boutique! Good on ANYTHING except for furniture and stuff already on sale. Pots start at just $6.99! You may also bring your own pot in but please note succulents will be $3.00 each.